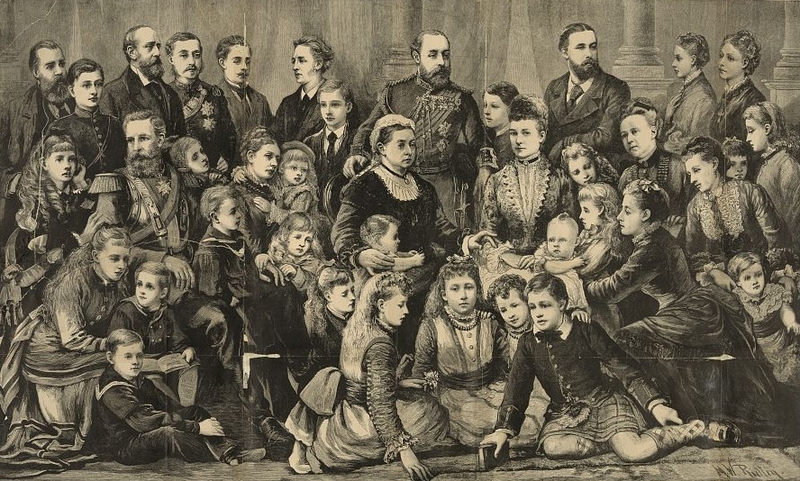 Our Sovereign Lady QUEEN VICTORIA, ALBERT EDWARD, Prince of Wales, the PRINCESS of WALES, and all the ROYAL FAMILY. may the supreme king of kings through his infinite mercy preserve them, and grant them life and deliver them from all manner of danger; may the supreme king of kings aggrandize and highly exalt our sovereign Lady the queen, and grant her long and prosperously to reign; may the supreme king of kings inspire her and her council and the state of the kingdom with benevolence towards us, and all Israel our brethren; in her days and in our days, may Jehudah be saved, and Israel dwell in safety, and may the redeemer come unto Tsiyon, which God of his infinite mercies grant; and let us say, Amen. The 1860 edition of the Festival Prayerbook published by P. Vallentine, published in London, offers this prayer for the royal family of Queen Victoria. 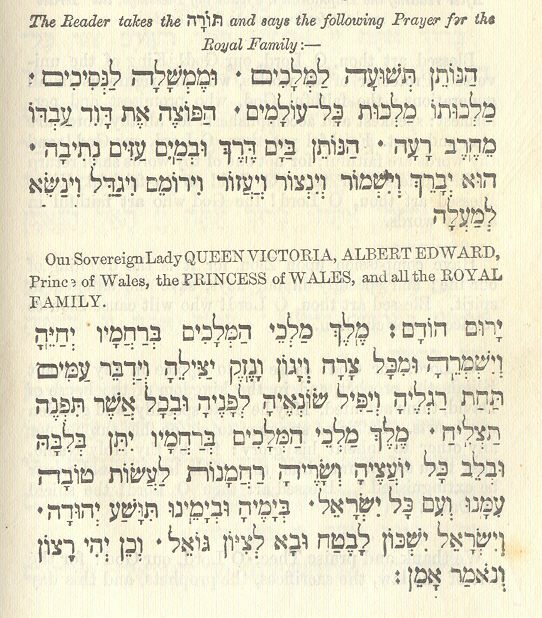 “הַנּוֺתֵן תְּשׁוּעָה | A Prayer for the royal family of Queen Victoria (1860)” is shared by Aharon N. Varady (transcription) with a Creative Commons Public Domain Dedication 1.0 Universal license.